It’s busy at the Sepänkatu campus of the Turku University of Applied Sciences. 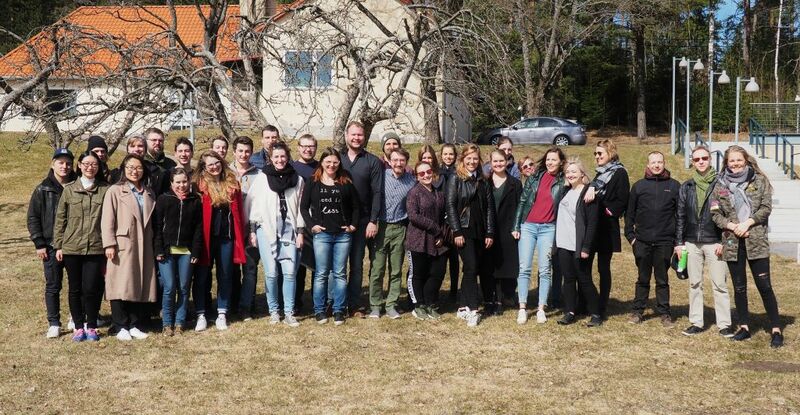 Students from British, German and Dutch universities as well as the Turku and Satakunta universities of applied sciences have joined forces on a three-week intensive course to work on commissions related to smart sustainable city solutions. The intensive course is part of a larger Smart Sustainable Cities course, which is realized as a part of the Carpe Essence initiative. The course involves six different commissions from the city of Turku, related to smart sustainable cities. ”The commissions are for example about developing city cycling, different transport solutions, electric ferries and water transport in general. The students also develop student-related services”, says Jenni Suominen, one of the course leaders from the Turku University of Applied Sciences. According to Tapio Kankaanpää, a student of energy and environmental technology at the Turku University of Applied Sciences, the course offers a good opportunity to practice one’s international skills and know-how. His groups’ commission is to promote city bikes and design improvements to the cycling infrastructure of Turku. ”I expect the following few weeks to be intensive work, but luckily being in a large group enables us to share the workload and responsibilities. Hopefully we can exceed the expectations of the client and surprise them positively with the results of our project”, Tapio says. Willemijn Engelen, who studies at the Utrecht University of Applied Sciences in the Netherlands, took part in the course because she’s interested in sustainable development and considers it very important for the future. She enjoys working together with other university students in an international atmosphere. Willemijn finds the course’s innovative studying methods inspiring. Specifically, she likes the fact that everyone can freely bring forward their creativity and ideas. She has also enjoyed her days in Turku and the city’s sunny weather. ”I love the river boats, they’re very cute! I haven’t had time to see that much yet, but this weekend we’re going to get to know the city more. We’ll also visit the archipelago”, she explains. Having come from the University of Manchester to Turku for the intensive course, Jordan Doyle thinks that the collaboration with the Dutch, Finns and German students broadened his views. ”I want to bring a touch of Manchester to Finnish projects”, Jordan says with a twinkle in his eye. The international student groups continue working with their projects for three weeks. 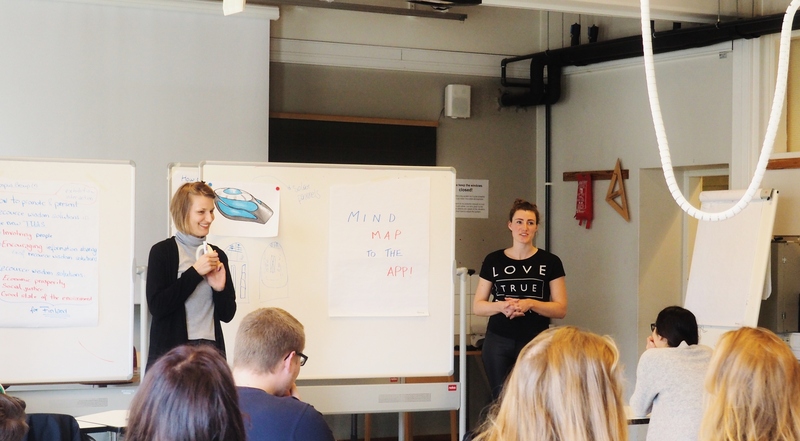 The course will culminate on Friday 21st of April at 9.00-13.00 when the nine student groups pitch their smart, sustainable city solutions to the city executives of Turku and Pori at the premises of SparkUp Turku in Tykistökatu.